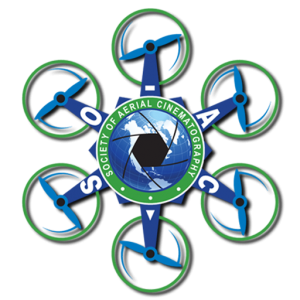 On behalf of Society of Aerial Cinematography, LLC, dba Society of Aerial Cinematographers (referred to as "SOAC," "us" or "we"), welcome to TheSOAC.com (hereinafter, the "Site"). We recognize that your privacy is important. This Policy discloses the privacy practices for the Site, and also covers how personal and other information that we receive or collect about you is treated. Please read the information below to learn the following regarding your use of the Site. If you have any questions about this Policy, please feel free to contact us by e-mail at Info@TheSOAC.com. IMPORTANT: BY USING THE SITE AND/OR OFFERINGS AVAILABLE ON THIS SITE, YOU GIVE YOUR CONSENT THAT ALL PERSONAL DATA THAT YOU SUBMIT MAY BE PROCESSED BY US IN THE MANNER AND FOR THE PURPOSES DESCRIBED BELOW. IF YOU DO NOT AGREE TO THESE TERMS AND CONDITIONS, DO NOT -- USE THE SITE. Personally Identifiable Information (“PII”): This refers to information that lets us know the specifics of who you are. Examples of PII may include your first and last name and email address. You may also voluntarily provide other PII, whether or not specifically requested by us, by either voluntarily supplying your own details to us via e-mail, or by posting publically viewable comments on the Site. You agree that we may collect any PII voluntarily supplied by you, whether or not we have requested it. You must not submit any PII relating to a third party if you do not have permission from such third party to provide to us. We do not knowingly collect any information relating to third parties which you do not have permission to provide. When you engage in certain activities on our Site, such as sending us a message via e-mail, we will ask you to provide certain PII. We will not sell, trade or rent your PII to others. We do provide some of our service offerings through contractual arrangements made with affiliates, service providers, partners and other third parties ("Service Partners"). We and our Service Partners may need to use some PII in order to perform tasks between our respective sites, or to deliver services to you. For example, we may use Service Partners to assist us in delivering electronic newsletters and communications to you; to collect PII voluntarily submitted by you when leaving comments on the Site; and to analyze Aggregate Information. We believe you should have the ability to access and edit the PII that you have provided to us. You may change any of your PII in your account online at any time by e-mailing us at Info@TheSOAC.com. Upon your request, California Civil Code Section 1798.83, known as the "Shine the Light" law, requires us to provide to you (a) a list of your personal information, if any, which we have disclosed to third parties for direct marketing purposes in the preceding calendar year, and (b) the names and addresses of those third parties. You may make such a request once per calendar year, and we will provide the information to you free of charge. Please send any requests made pursuant to this section to us by e-mail at Info@TheSOAC.com. However, as defined under Section 1798.83, we do not currently share any personal information with third parties for their direct marketing purposes. We may, from time to time, send you e-mails and/or newsletters regarding information or services that we feel may interest you. Only SOAC (or agents working on behalf of SOAC and under confidentiality agreements) will send you these notifications. If you do not want to receive correspondence from us, you can "opt-out" by clicking on the "Unsubscribe" link at the bottom of each correspondence. You should also be aware that when Personally Identifiable Information is voluntarily disclosed (i.e. your name, email address, etc.) by you in the comments you post on the Site or in other public areas on the Site, that information, along with any information disclosed in your communication, can be collected and used by third parties and may result in unsolicited messages (including unwanted spam messages) from third parties. Such activities are beyond our control and this Policy does not apply to such information. Please consult our Terms and Conditions of Use for policies regarding user-provided information.